Slinkyware has now released VisionAssist 2.51. Apple's recent update - iOS8, has increased the operating system overhead on all devices. This is most noticeable on the older devices now such as the iPad 2, iPad 3, iPhone 4S, and iPod Touch 4G. VisionAssist uses as many system resources as available to give as smooth performance as possible. However, because iOS8 is using more resources we have had to reduce the framerate slightly on these devices. 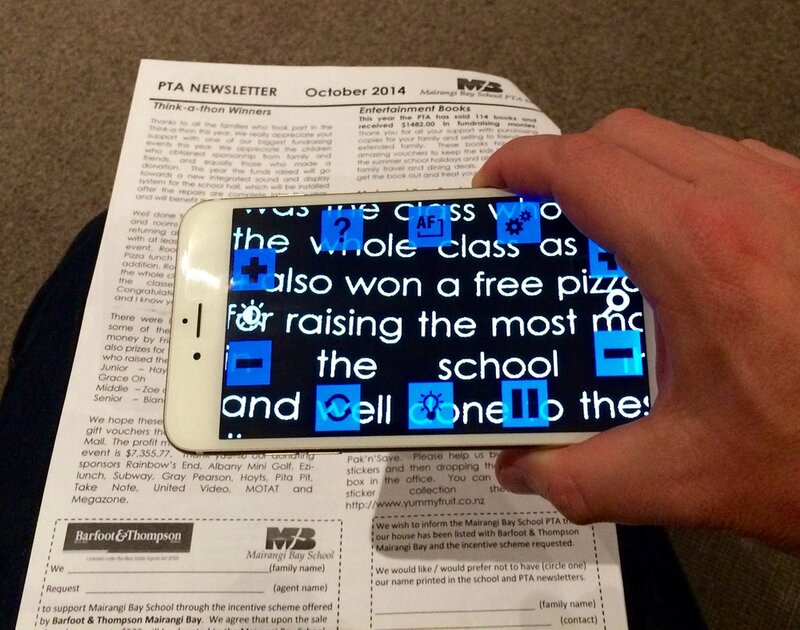 Slinkyware has been testing VisionAssist on the new iPad Mini with Retina display and it is an amazing experience. The new iPad Mini is probably now the best device to use with VisionAssist - the combination of the sharp display, 5MP autofocus high resolution camera, and raw speed of the A7 64bit CPU provide outstanding performance! VisionAssist v1.4 released for iPhone 5 and iOS6! Slinkyware is pleased to announce the release of v1.4 of VisionAssist which has been updated and optimised for iOS6, iPhone 5 and iPod Touch 5G. In addition, by popular request, we have introduced a new feature - the ability to switch between Fixed Focus and AutoFocus. VisionAssist absolutely flys on the iPhone 5 with its new high speed CPU.